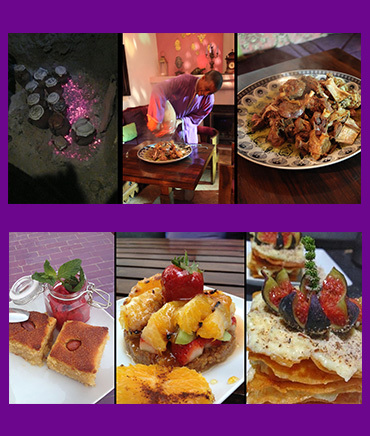 Rue Essebtiyne, n°54 derb el Hammam, quartier El Moukef, medina Marrakesh Morocco. 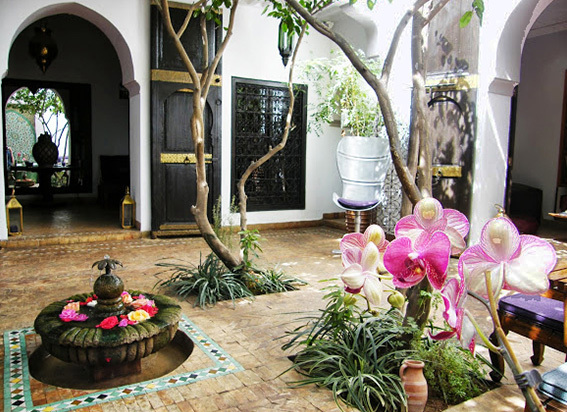 Boutique hotel, the riad Houdou is located in the medina of Marrakech, ten minutes walk from Jemma El Fna Square, close to the souks, the Ben Youssef medersa and tourist sites. 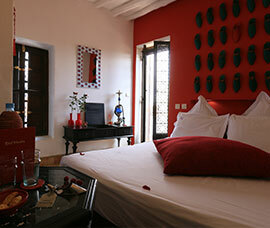 This beautiful large riad in Marrakech offers 10 comfortable rooms with different themes. Eric, Didier and their team will greet you warmly. 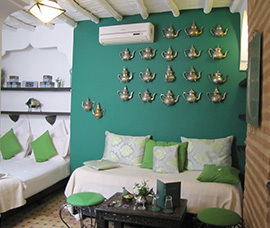 This guesthouse in Marrakech will seduce you with the calm and serene atmosphere of its patios, its relaxing lounges and terraces where you will have your breakfasts and relax on the sun loungers and on the edge of its heated swimming pool (9 x 2,5 meters). 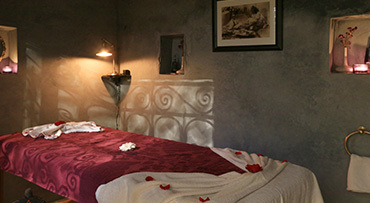 Ideal for both friends and couples, they offer comfort combined with original decorations. Couples will appreciate the calm and the luxury of these rooms in a queen size bed. The refined decoration is unique to each. 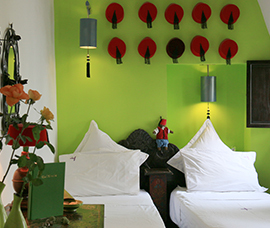 With its roof terrace, this charming Junior Suite with queen size bed promotes the success of an intimate stay. 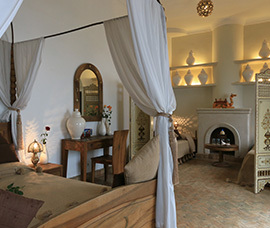 With its patio and pool, this beautiful Junior Suite with queen size bed promises you a romantic stay. In a luxurious setting, families or friends will enjoy a spacious and comfortable place. Queen size beds and twins. Discover the relaxation of our Spa, hammam, massage with our graduate aesthetician and enjoy our delicious traditional cuisine. 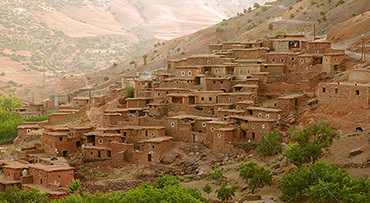 Visit Marrakech, the Atlas mountains and the desert with our private and personalized excursions. 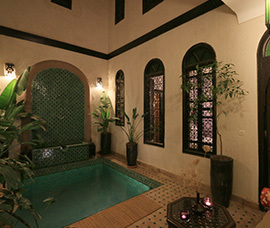 Riad Houdou, Hotel Riad Marrakech. Copyright © Riad Houdou 2019.